Straightened, curled, puffed out. Hair can be fashioned into amazing shapes. 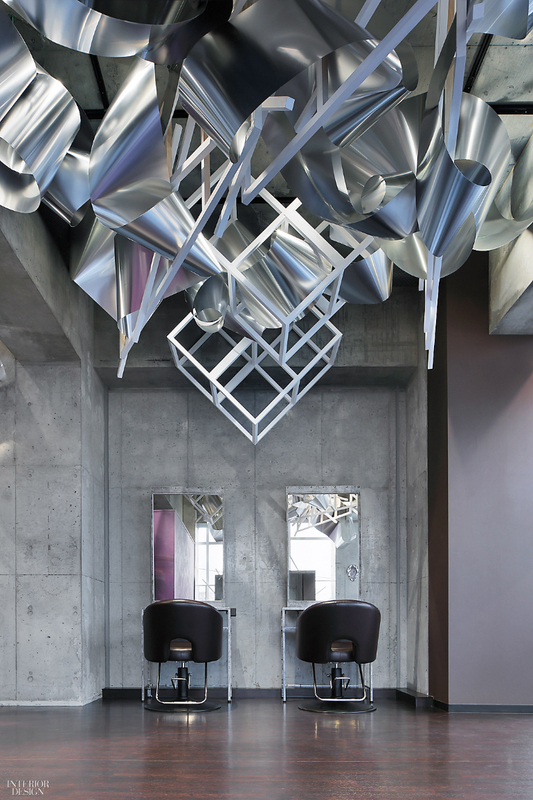 Inspired by that pliancy, transformed a 1,200-square-foot former clothing store into , a Tokyo salon. Moriyuki Ochiai first turned his eyes upward toward the ceiling. 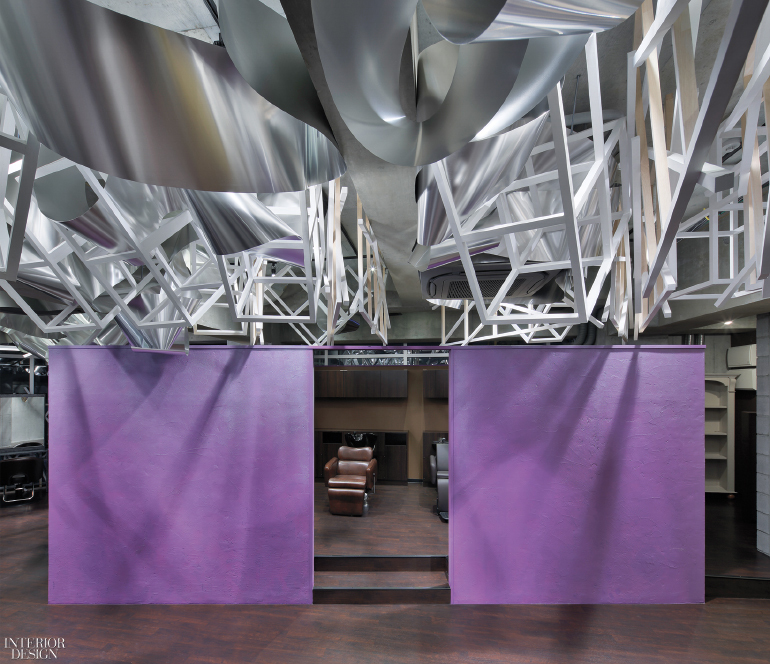 There, instead of taking a little off the top, he added quite a bit: Swaths of polished aluminum were suspended throughout, heavily concentrated over the cutting area. 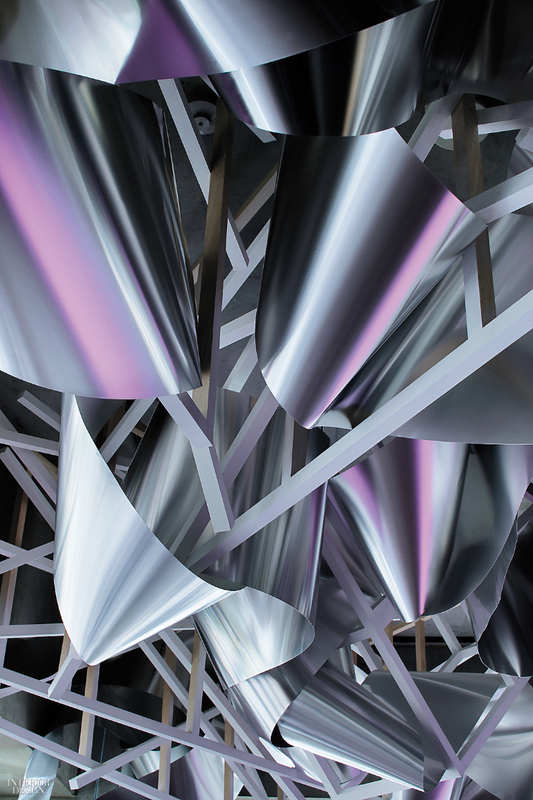 A total of 1,000 linear feet of the metal was formed into swoops and coils that evoke braids and twists. Spea. Photography by Fumio Araki. As the sun passes across the salon’s window wall, light catches on the aluminum, much like sunshine radiating from tresses. Looking into the salon mirrors, customers glimpse reflections of the installation above. “It’s meant to heighten emotions,” Ochiai explains. 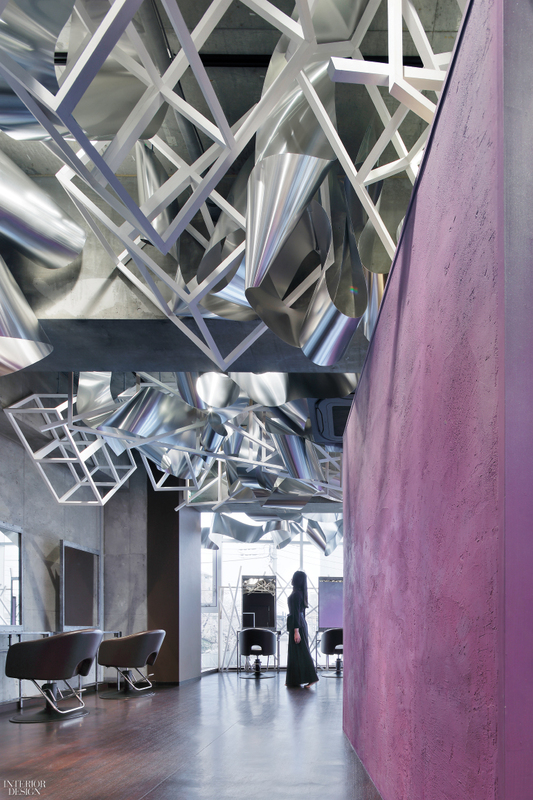 For contrast, the ceiling incorporates cubic shapes in white-painted ash, lending a sense of solidity amid the glinting forms. 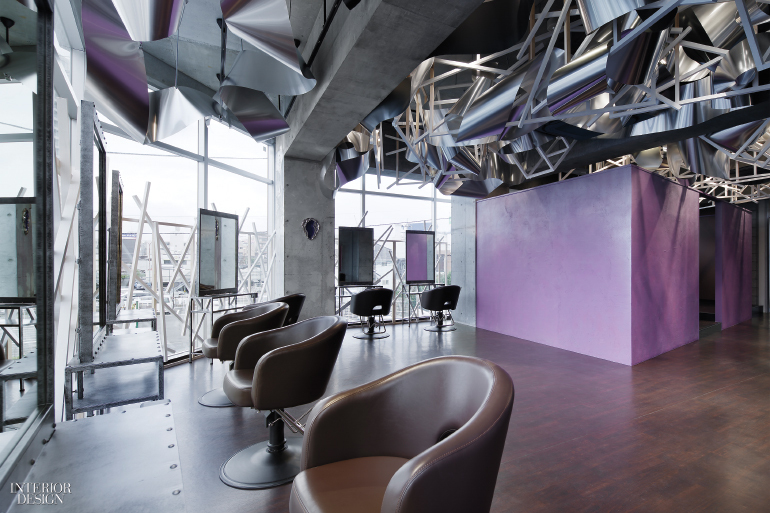 The flow of the aluminum changes between reception, the cutting area, and other zones. Ochiai describes it as calm in the waiting area but lively elsewhere. That’s also partly due to the partitions coated a vibrant aubergine. Other surfaces are textured concrete, merely finished in a simple gloss. Not everything needs to be heavily styled.